By the early 2050s, the population of the United States has reached 400 million. * This follows earlier milestones in 1915 (100 million), 1968 (200 million) and 2007 (300 million). In terms of world rankings, the country remains unchanged from the previous hundred years, in third place behind China and India. However, its share of the global population has decreased from 6.3% in 1950, to 4.6% in 2000 and 3.9% now. The average U.S. citizen is also older, with a far larger percentage of people now aged 65 or above. Even the youngest Gen X-ers are now in their 70s, while the youngest Millennials have entered middle age. The number of centenarians (people aged 100 or over) has risen more than four-fold, from 85,000 in 2015 to 380,000 in 2051. * Alongside a jobs crisis, resulting from automation and technological unemployment, this has put a huge burden on the working-age population – necessitating major reforms in taxation and social welfare. After a number of failed attempts, a form of universal basic income (UBI) has now finally been adopted by most states, though the U.S. was late in this process compared to most other nations in the developed world. America remains a majority Christian nation, but has seen a nearly 10% increase in those unaffiliated with any organised religion. The Muslim population has increased too, but remains a small segment overall. * In addition, new religions and cults have formed, often based on worship of AI, the 'Singularity' or certain technological niches. Recent advances in mainstream brain-computer interfaces, nanotechnology-based drugs and/or virtual reality have made it easier for leaders to manipulate vulnerable followers, a fact brought into sharper focus by a related government scandal around this time. As in the rest of the world, urbanisation has continued to increase, with more and more people living in cities. 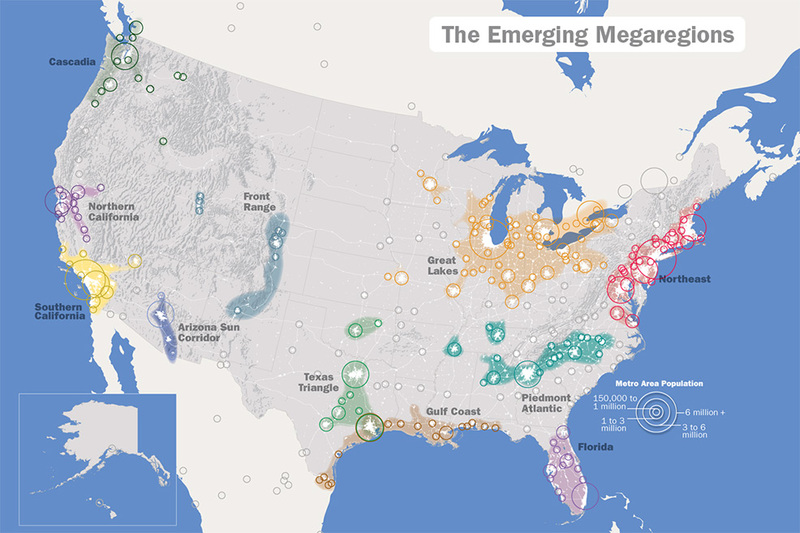 Across the country, enormous "megaregions" have now emerged, producing metropolitan areas that often overlap and stretch across several states. * The biggest of these – Great Lakes – has grown by over 28%, from a population of around 55.5 million in 2010, to more than 71.2 million. The Northeast (encompassing Boston, New York, Philadelphia, Baltimore and Washington, D.C.) has expanded by over 35%, from 52.3 million in 2010 to 70.8 million now. California has seen even faster growth of between 50% (north) and 61% (south) – but remains split into these distinct halves. If combined, the two megaregions would now have a total population of 60.5 million people. Most of these megaregions are now linked by high-speed rail, which includes a number of 'hyperloop' routes, breaking down geographical barriers and enabling people to commute from longer distances than in earlier decades. However, America still lacks the kind of extensive networks enjoyed by the likes of Europe and East Asia. Despite many advances in technology, the U.S. remains a deeply divided country, riven with social and economic problems. The level of income inequality, already a serious concern at the start of the century, has widened even more, as the rate of return on capital continues to exceed the rate of economic growth over the long term. * The first trillionaires have begun to appear in Forbes and other rich lists. * This ever-increasing concentration of wealth in the hands of the upper 1% has further eroded the middle class. Alongside a perpetual cycle of left-right parties offering the same false promises, little has fundamentally changed in American politics. A general apathy has maintained low election turnouts, now averaging just 40% or so (compared with 50% at the start of the 21st century and 60% during the mid-20th). Recent decades have seen an intensification of the phenomenon known as "truth decay": an increasing disagreement about facts. * This trend has been driven by ongoing polarisation (both political and demographic), as well as the Internet, social media, virtual reality and other technologies, which have accelerated the spread of disinformation. Fake video scenes, for example – indistinguishable from real life, and even made interactive through strong AI – are now so cheap, accessible and easily produced that it has eroded the trust in formerly respected sources of factual information, blurring the line between opinion and fact. All of these trends are further harming civil discourse, causing disengagement and alienation, political paralysis and uncertainty. Americans are routinely bombarded with information overload, often highly personalised and tailored to their individual circumstances in ways that would appear unsettling and surreal to observers from earlier decades. More and more people feel disillusioned by what they see as a hyper-commercialised, intrusive, manipulative society. With oil, gas and coal no longer playing a significant role in the U.S. economy, the lobbying power of fossil fuel companies has essentially disappeared. However, new lobbyists have taken their place – such as biotech and robotics companies, seeking to change regulations and monopolise their industries. The explosion of genetic upgrades, implants, beauty treatments and other personal tech has become yet another driver of inequality. The impact of these various trends has been felt most strongly in the southern 'Bible Belt' states. These are hampered by debt and poor economic growth, exacerbated by worsening environmental conditions. * Many people are now flocking to the north, which is more politically stable. Some of those already living in the north are moving into Canada, which has even better long-term prospects. The U.S. population, as a whole, continues to increase for the rest of the century, though at a slower rate than before. 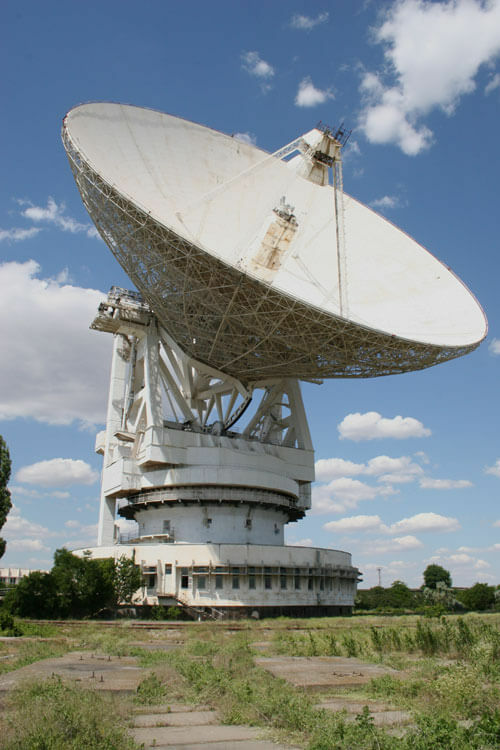 The Yevpatoria RT-70, located at the Center for Deep Space Communications in Ukraine, was among the largest radio telescopes in the world, with a 70m antenna diameter. On 1st July 1999, it beamed a noise-resistant message named "Cosmic Call 1" into space. This was sent towards Gliese 777, a yellow subgiant star, 52 light-years away in the constellation of Cygnus. At least two extrasolar planets were known to be present in this system. In April 2051, the message arrives at its destination, for any potential alien civilisations to hear and decode it. 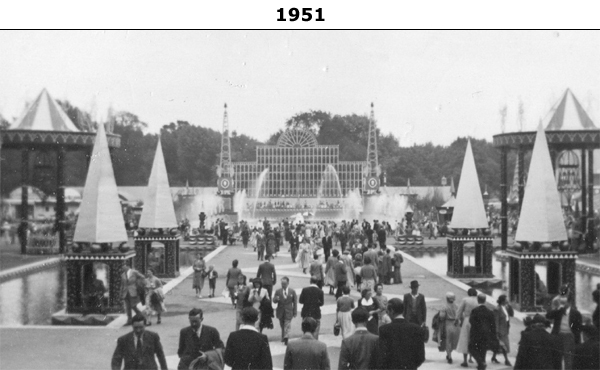 A centennial national exhibition is held in the UK, in keeping with the precedent set by the Great Exhibition of 1851* and the 1951 Festival of Britain. 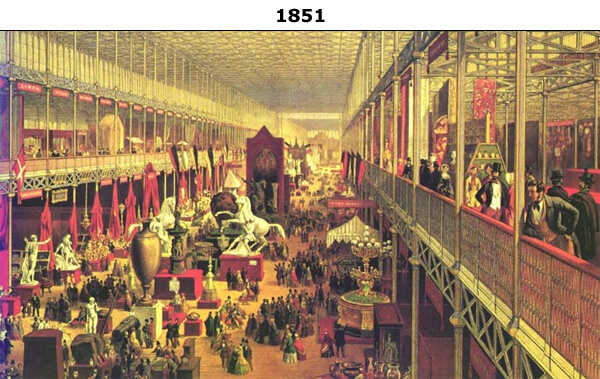 * The opening ceremony is attended by King William V, now aged 69. The Suburban Rail Loop is Australia's largest ever transport project. It consists of a 90 km (56 mi) line running through suburban Melbourne and surrounding the central business district (CBD). The loop is designed to help commuters connect easily to major suburban hubs and amenities such as hospitals, shopping centres, universities, and the airport. The service connects almost all existing railway lines via one new route through middle suburbs, thus removing the necessity to travel into the city and out again as per the older hub and spoke rail network. The line connects the existing station at Cheltenham with other existing stations at Clayton, Glen Waverley, Box Hill, Heidelberg, Reservoir, Fawkner, Broadmeadows, Sunshine and Werribee. It also links to new stations, built in areas that were long promised rail connections, including Monash University, Burwood, Doncaster, Bundoora and Melbourne Airport.